Does it Snow in Santa Cruz, Calfornia? Celebrate this holiday in an extra special way where ever you might be! Did you like this article? Please review the items in this sidebar and share with your friends. Comment and talk with us below! I like to see new regions with other people. Yes, I am independent – I enjoy going with other people. 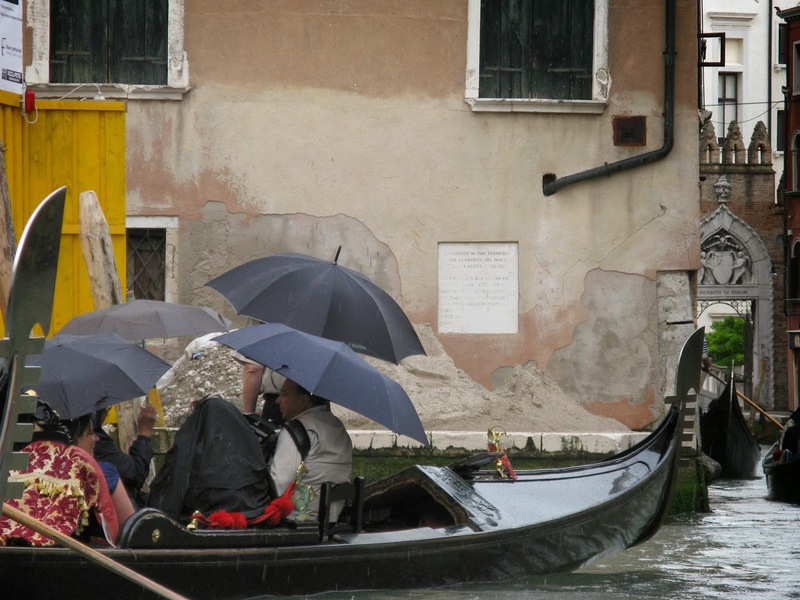 One of my favorite memories is riding the Gondolas in Venice. This experience may not be the same by myself. Our group was ready to stretch our legs on our nice, easy walk from our motor coach along the side the water canals to where we found our next fun floating transportation. 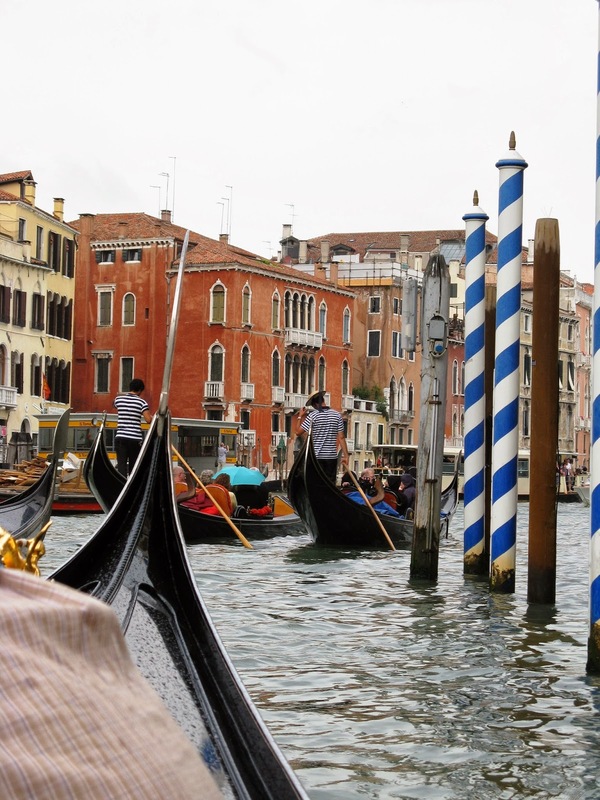 Yes, we followed our tour director past other long lines to our service area where we found our special reserved gondolas waiting to navigate us through the water canals. The gondolier is very skilled in steering these little gems as I watched them carefully helping everyone get on board and showing them exactly where to sit. 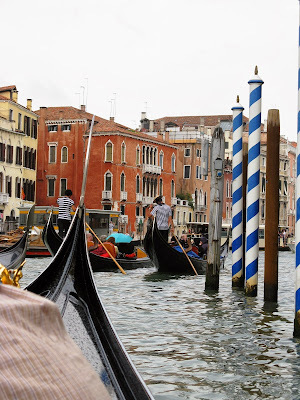 As we departed the service area, of course we snapped several pictures of each other in our small group made up of five or six gondolas as we glided along the narrow, secluded waterways and then our surprise! (drum-rolls) WOW! 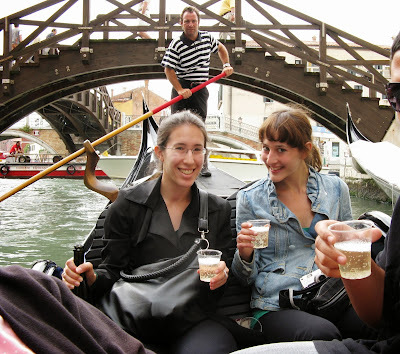 when we turned into the main presentation of the Grand Canal of Venice! Double WOW! It was great to be with others as we shared and pointed out unusual sightings of houses, churches, and palaces along our way while sipping our champagne. Even rain didn’t spoil our spirits during our serenade. We were prepared with our “umbrellas up” as we listened to our Italian singer and musicians. 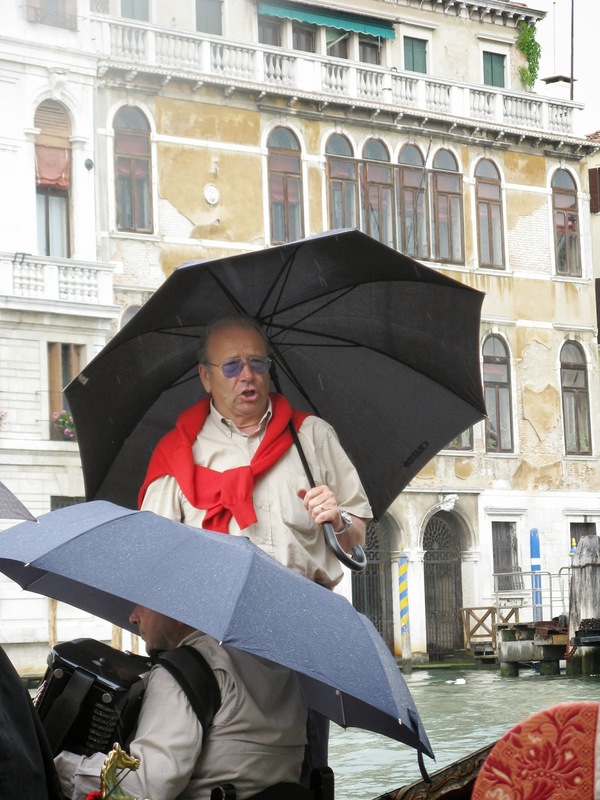 Our contagious smiles were infectious to strangers watching us as we got off and started on our next walking tour discovering Venice with our tour director. How cool is this? Tell us how your Gondola experience was? All images above belong to the Fun Tour Guru and not to be used without consent. Where do you want to go? 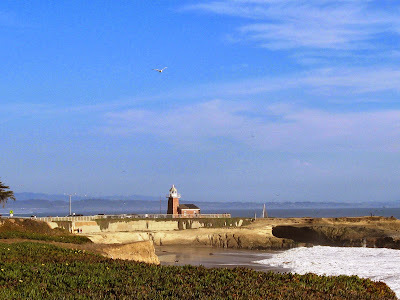 Sign up for the weekly newsletter at, Lighthouse Travel and Tours. 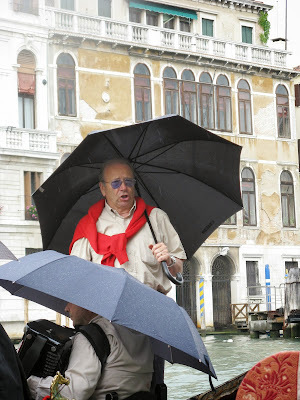 This was a Guided Vacation through Trafalgar Tours, at my own expense.